Far East Landscape & Maintenance, Inc.
Dream Landscaping & Design, Inc.
R L Landscape and Design, Inc. Comment: I would like to get an estimate for a 33x6 cinder block wall. Comment: Back fence knocked down by tree. Fence to be replaced. Need estimate first to receive insurance company payment, then fence will be built. Comment: Lay one layer of bricks around all around the planters of front and side yard. Comment: Our brick retaining wall was hit by a car and caused damage in 3 locations, along with our neighbors wall. Insurance has requested we get an estimate for the repairs. Burbank Brick & Stone Masonry Contractors are rated 4.78 out of 5 based on 1,165 reviews of 16 pros. 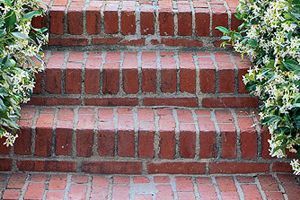 Not Looking for Brick & Stone Contractors in Burbank, CA?